If you've not had time to join in yet or would like to join in again................ in case you missed my post last week we have opened the challenge up and you can now join in three times. 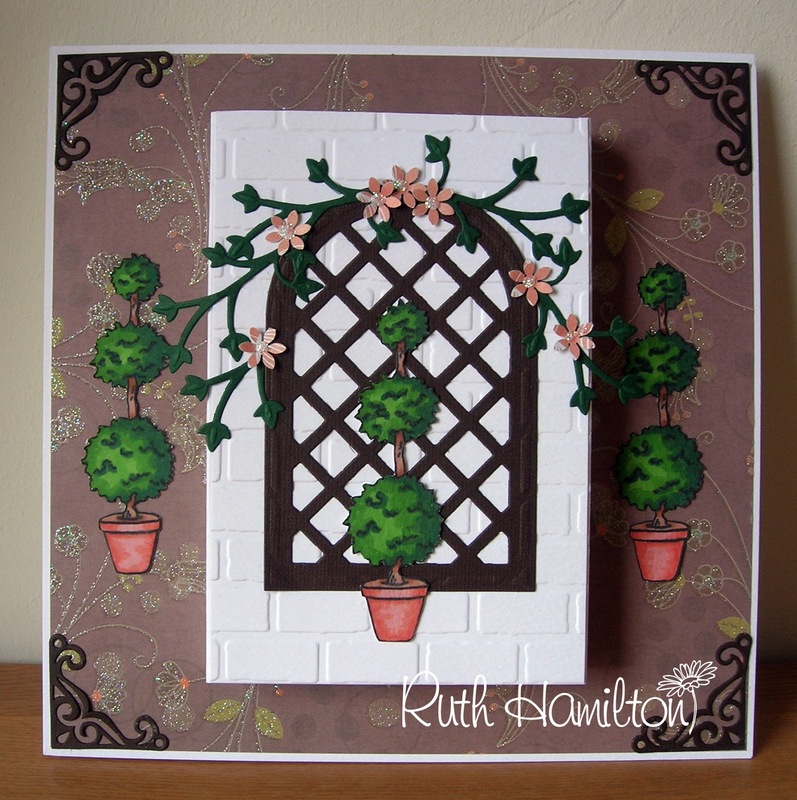 And as well as that we've lifted the restriction on how many challenges you can combine, so what are you waiting for............. lets see all your cards as I know you would all love to win that lovely haul of stamps. Look forward to seeing you all again after the festivities. 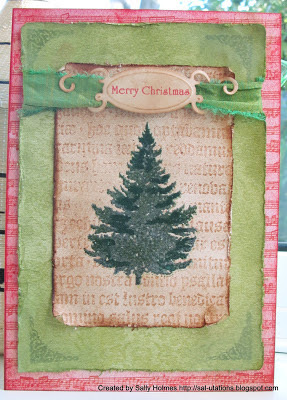 Good morning to you all, I'm sure lots of you are busy with Christmas preparations so I will keep this short and sweet. I realised this week that were close approaching 1,000 followers so in the time honoured blog land fashion I thought it was only right that we had some candy, a set of Aquamarkers and a set of large size Go Kreate dies and I will choose two winners from our challenge entrants and commentors once we pass that magic mark. Please feel free to pop the above picture on your sidebar to help us spread the word. * You can combine our challenge along with any others of your choice. * You can also enter up to three cards or projects each month of your choosing. 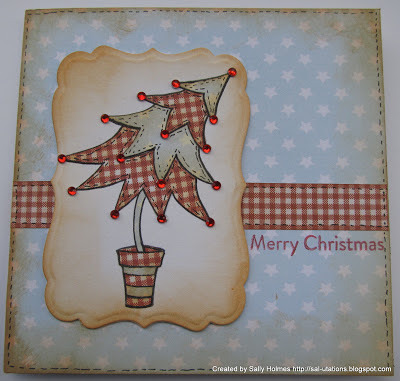 Our December theme sponsored by Visible Image who are offering a great collection of stamps above to the lucky winner is TreeMendous and we would like to see any sort of tree on your work, be it a stamped image, die cuts and of course any sort of Christmas trees. Here are a couple more inspirational cards from the design team. From two family dogs to two more - yep that's right ! Enjoy the rest of your weekend whatever you have planned and keep warm, it's bitterly cold here in the Fens. 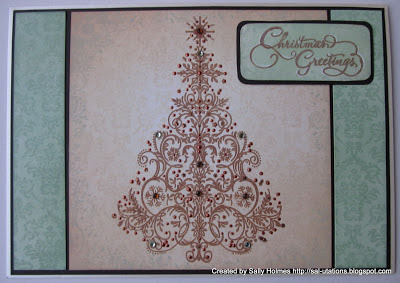 Good morning to you all and welcome to our December challenge here at Stamping Sensations. 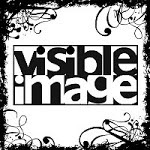 We have a great new theme for you and are also very pleased to introduce you to another wonderful sponsor Visible Image who you can read more about further down this post. It might sound an odd one to you at first, but really it couldn't be simpler as all we want to see is some kind of tree somewhere on your work and as it's almost Christmas I have a feeling there will be a good few Christmas trees propping up which will be great to get us into the festive spirit. Now to tell you about our sponsor Visible Image and show you the wonderful prize they are offering to one very lucky winner......just look at all those stamps and I can tell you that the images stamp out so beautiful and crisp. Some of the DT's work features their stamps and you will find links to them and some of those in the prize in the thumbnail pictures at the bottom of this post. 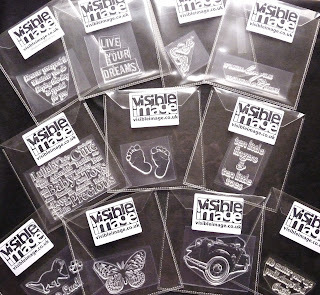 Visible Image is a clear stamp designer and manufacturer based in South Wales, run by Mark & Helen. Our stamps are made with the finest photopolymer available, each stamp is 4mm thick and hand cut ready for use. They stamp perfectly first time, every time, with a clean crisp image. We aim to provide high quality stamps at affordable prices, and we're passionate about creating fantastic stamps so you can make amazing creations! 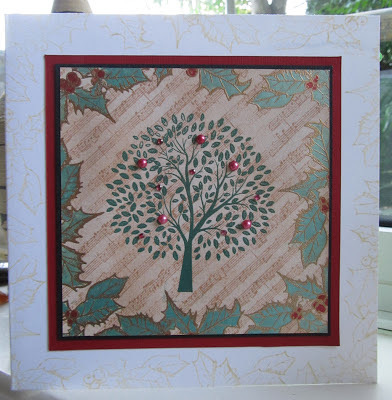 Have a good Sunday everyone and look forward to seeing all your TreeMendous creations. 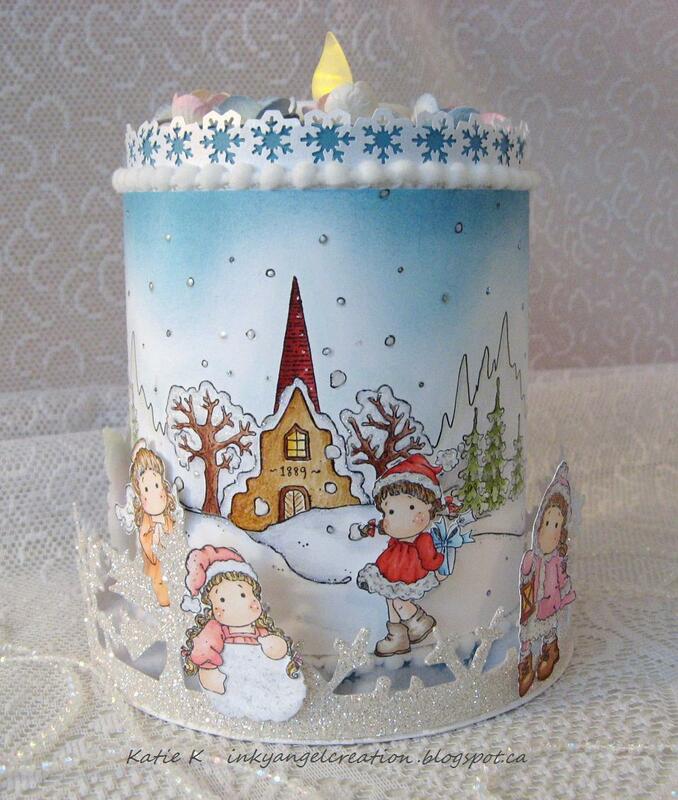 Good afternoon Peeps, I'm running a little late announcing the winners for November, but what a splendid month we have had under our new name, a wonderful sponsor, so many good wishes from you lovely crafters and most of all an absolutely fabulous array of entries with you all embracing the Christmas theme and wowing us with your talents. So needless to say it again made our job very hard when it came to selecting the winners. Please don't forget that Ingigo Blue are offering 10% discount on all purchases until 15 December, so there is still time to take advantage of this great offer from them. Congratulations Jane and Lisa, clearly it's robins all round this Chrismtas ! 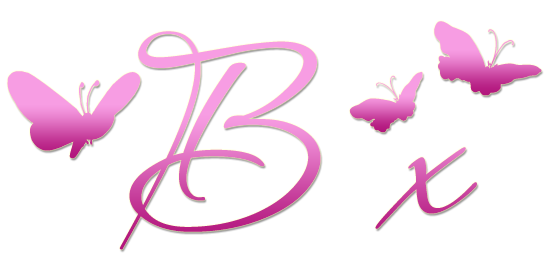 Please both grab our brand new winners sidebar button to wear on your own blogs and mail me with your full postal addys so I can post your goodies off to you. Well done to you all, there's a brand new sidebar button for you to collect for your own blogs. I will be back on Sunday with our new challenge and another fabulous sponsor to introduce to you. Hello everyone, you certainly do seem to be enjoying our November Traditional Christmas theme and we are loving seeing all your entries. 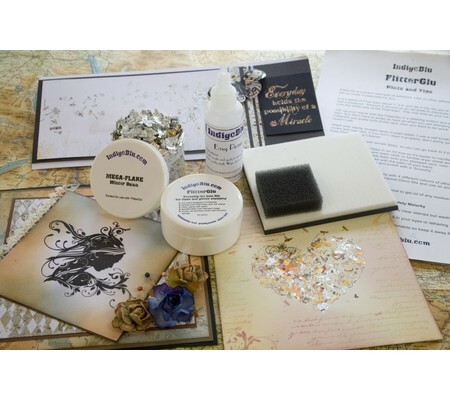 I think you must all be hoping to win those lovely goodies from our sponsor this month Indigo Blue. But you don't have to wait to grab some Indigo Blue bargains because you can get a 10% discount on all purchases until 15 December, so the perfect opportunity to do your crafty Christmas shopping and also grab a few goodies for yourself as well. Just enter code SSNOV12 at checkout. It's also a good time to tell you that we have made a slight change to our rules and you can now enter our challenge up to three times each month, these can be all cards or whatever you fancy. But we do still limit the number of challenges you can combine which is six including this one. 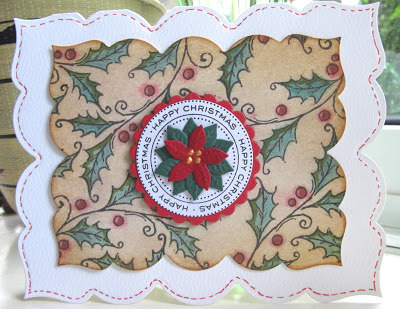 The design team are enjoying the theme equally as much and have come up with another host of lovely inspiration for you. Enjoy the rest of your weekend and hope you will join us this coming week. Good morning everybody, an exciting day for us all here at Stamping Sensations as we launch our very first challenge under our new name. We will still be having our popular Top 3 spot, but please remember to check out our rules especially that you can combine your entry with a maximum of 5 other challenges. ...................it was our idea to kick that off next month and already had some goodies prepared, however one of our new sponsors Indigo Blu really, really wanted to get involved this month so that means there will be two lucky winners this month. 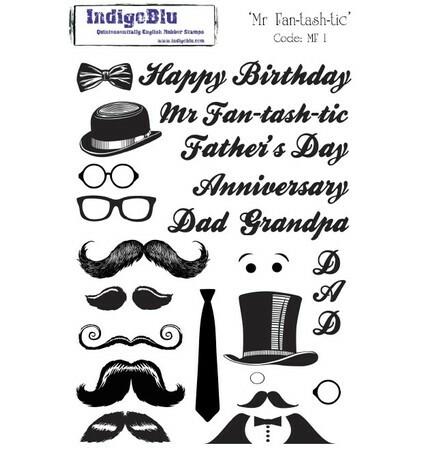 2) Mr Fan-tash-tic A5 Stamp: A5 rubber stamp (210x150) available mounted or unmounted. 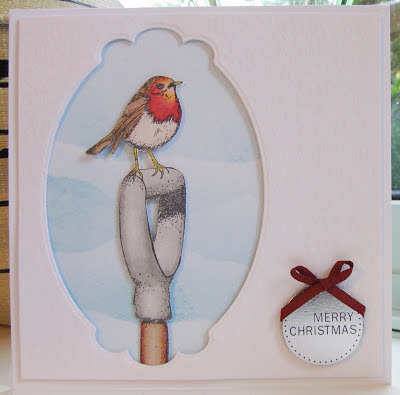 A Fan-tash-tic stamp ideal for making a card or present for that man in your life. Released in time to help promote Movember. Why not sponsor Alfie and Neil in the IndigoBlu Mr Fan-Tash-Tic team ? In addition to this fabulous prize Indigo Blu are offering a 10% discount to our challenge participants on all orders placed through their website between now and 15th December, just add code SSNOV12 at checkout. 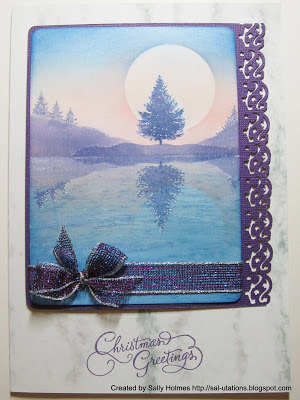 Now for some inspiration for the Design Team who beaver away every month to bring you their artwork each featuring their own unique style of stamping and crafting. I could never make our little challenge so popular without their hard work and it would be really lovely if you could take a moment to pop along to their blogs and let them know how much their hard work is appreciated. Good luck everyone and looking forward to seeing all your creations this month.